Most parties today are being held outdoors. While, if you want your party or wedding more special, luxury and memorable, a high peak tent is recommended. 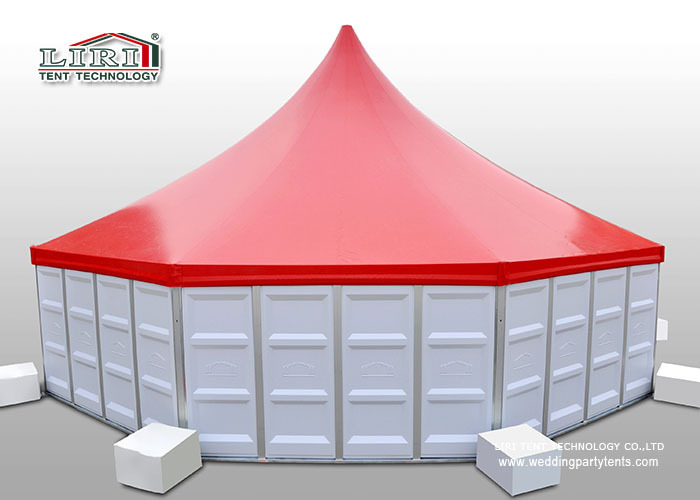 The Red Roof Cover High Peak Tents With ABS wall System is a remarkable design that can really leave your customers a deep impression. Liri Tents can always provide you with the ideal party tents. 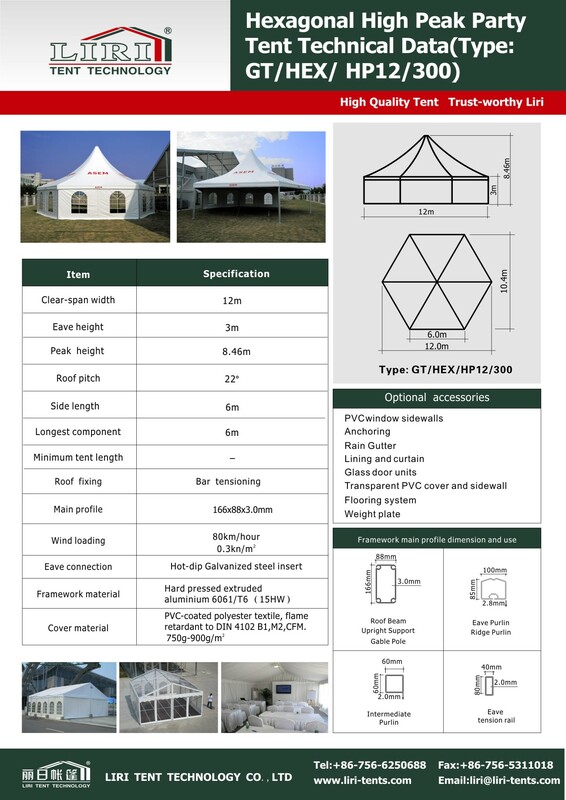 We offering various sizes and styles high quality outdoor aluminum structure tents. Party tents can be customized for you. 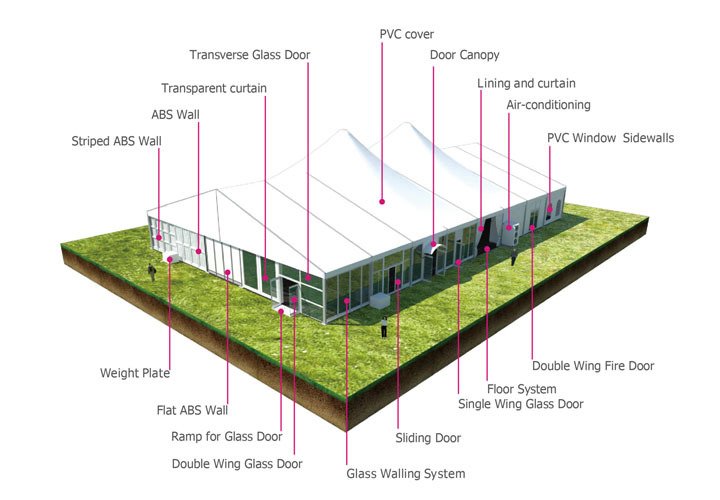 The optional accessories for the high peak tent are glass walling system, door units, flooring system, ground anchors, lining, etc. Our pagoda tent can meet different levels of demand and is a more flexible choice for outdoor activities.